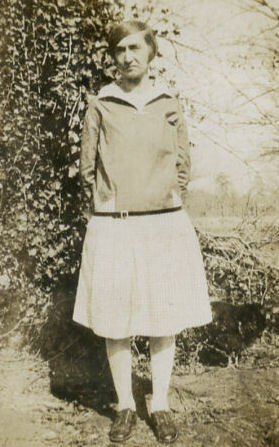 Geneva Mae Johnson was the first child born to Beulah Vernesta "Nessie" Johnson and her husband, Charles "Charlie" R. A. Johnson. Mae was born 21 Feb 1903. Mae's father, Charlie, was 19 years older than her mother. One day he just "left" and he never returned. The family believed that he had left town with another woman and was eventually killed. 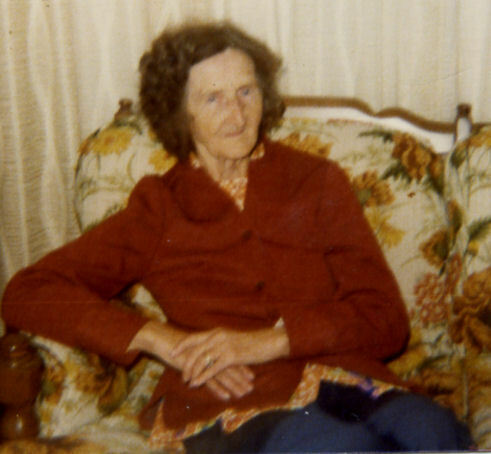 Mae's maternal grandmother, Nancy Caroline Leslie Johnson, committed suicide by setting herself on fire. Mae was 2 1/2-years-old at the time. At the age of 21, Nessie became pregnant again. She was alone with two young daughters to support all by herself. Both of her parents were deceased and she had no one to turn to for help. She took a job as a servant with the Jacob Goble family. According to the 1910 Iredell County, North Carolina Census, Mae (age 7) was living with James C. Blankenship and his wife Eliza Jane Johnson, Mae's Great-Uncle & Aunt. Mae's Great-Grandmother, Lavina Sherrill Johnson, age 78, was also living with them. According to the 1920 Iredell County Census, Mae was still living with her Great-Uncle James Blankenship. She was 17-years-old and had attended school that year. I have never found any information indicating that Mae ever lived with her Mother and Step-Father, Nessie & Martin Luther Goble. Mae married John Paul Baldwin and lived in North Wilkesboro, North Carolina. Paul was born 21 Mar 1908 and died 14 Jun 1972. He was the son of Oliver and Fannie Stone Baldwin. Paul and Mae had no children. Mae died 02 Jan 1987 at the age of 83 in Banner Elk, Avery County, NC. She is buried beside of Paul at Little Mountain Baptist Church Cemetery in Wilkesboro, NC. If you have additional photos or information about Geneve Mae Johnson, please contact me.